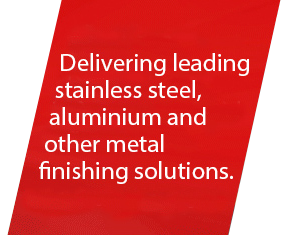 We acknowledge your interest in Suhner Australia, Suhner Abrasive Expert and Otto Suhner Group. By entering our website, you accept all our terms and conditions. The Otto Suhner Group consists of a number of legal entities, each independently responsible for its business and products offered. In no event shall one legal entity within the Suhner Group be responsible or liable for the acts or omissions of another legal entity. By obtaining information from this website, or using the site, you accept that the responsibility and liability for a certain product, special offer, or certain marketing information is limited only to the individual legal entity. We reserve the right to change without prior notification and without incurring any obligation or liability for us, any information on the site. The content is provided as a support to visitors and offers non-binding information only. You are not authorised to set any links to this website without prior written consent of a Suhner responsible Manager. The contents of the website, including but not limited to logos, trademarks, trade-names, text, images, graphics, sound, animation and video files, and their arrangement on the website are proprietary to us or one or more other Otto Suhner Group entities or third parties and subject to intellectual property protection. No content of the website may be reproduced, copied, transferred, published, distributed, modified, reposted, or placed onto other websites or documents, without prior written authorisation. All intellectual property rights contained in the website, including copyrights, trademarks, trade secret and patent rights, are reserved and any use without prior written authorisation from the respective owner is strictly prohibited. Nothing contained on the website shall be construed as granting any express or implied license or right to use our or any other Otto Suhner Group entity's or third party's intellectual property. When you enter the Suhner website, we collect your computer's IP address. The IP address identifies your internet service provider, not the individual. We may collect the type of internet browser used, the type of computer operating system used and the domain name of the website from which our site was visited. Any activity, visit or communication is conducted at your own risk when entering our site. All possible measures are taken to protect identifiable information and other data stored on our servers from unauthorised access, loss, or alteration. However, no server or transmission over the internet can be guaranteed to be totally secure. Some of our web pages may contain links to other websites. Please note that we are not responsible for the privacy, protection or any other matters to do with these web sites. To avoid cookies with most internet browsers, you can set the browser to block cookies, erase cookies from your computer hard drive, or notify you that a web page contains cookies before a cookie is stored. Please refer to your browser instructions or help screen to learn more about these functions.